Oil Changes in Longwood, FL - EURO Specialists, Inc.
Make EURO Specialists Inc. in Longwood, FL (near Altamonte Springs) your car repair and maintenance location. We offer oil changes, automotive repairs ranging from air condition repair, brake maintenance, wheel restoration, transmission servicing, wheel alignment, balance and mounting and so much more. Our automotive shop is recognized for our level of service and attention to detail. 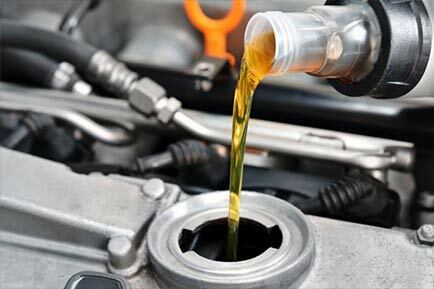 One of the most common services provided being an Oil Change. We have master certified technicians that are highly experienced and close to home. We carry out all types of oil changes, even those for luxury cars. From synthetic to synthetic blend and so on, we understand which type of oil your car needs during the course of its life. Car maintenance is critical to when it comes to extending the life of your car. Dirty oil does not do the job that fresh oil can. The additives in dirty oil boils out and the contaminants eat away at the metal parts and water collects over time making it more problematic for your car. Oil protects parts of the engine from wearing down. You should change your oil at regular, reasonable intervals. These intervals depend on the car manufacturer and their guidelines and depending on operating conditions. We highly recommend the earlier of 5,000 miles or 6 months to maintain the life of your car. To find out exactly how often you need an oil change one of our specialists will specify it for you. EURO Specialists, Inc. goes above and beyond. All of our customers receive an email when their vehicle is due for its next service and we also place a sticker in the upper left-hand corner of the windshield indicating when the next oil change is due according to the time and mileage. Click here to head on over to our appointment scheduling page where you can let us know your desired appointment date and time.